After almost seven years of operating Studio L as a broad-based woodworking company, owner David Lehmann is getting ready to make some changes. He is seeking a buyer for approximately 4,000 square feet of space situated in three buildings and a shed in Teaneck, N.J., so that he can move to another site where everything would be under one roof and workflow can be optimized. He also plans to sharpen his business sights, concentrating on jobs that deliver maximum profits. “We’re going to get bigger by getting smaller,” he explains. David Lehmann Owner of: Studio L Location: Teaneck, N.J. Shop space: 2,500 sq. ft., plus 1,000 sq. ft. for storage and staging, 600 sq. ft. for an office/showroom Equipment: Omnitech Pal 5’ x 10’ CNC Router; Holz-Her edgebander; Grizzly sliding table saw; SawStop cabinet saw; air-assisted airless spray finishing system. Central dust collection: Housed in an exterior shed. Lehmann says the advantages of having the dust collection system outside the shop are less noise and better temperature control in the summer months. What will not change, however, is what clients like best about Studio L — creative design and the willingness to take on jobs that others sometimes shy away from. Recent examples include a boy’s bed in the shape of an Army Jeep, complete with functioning headlights. 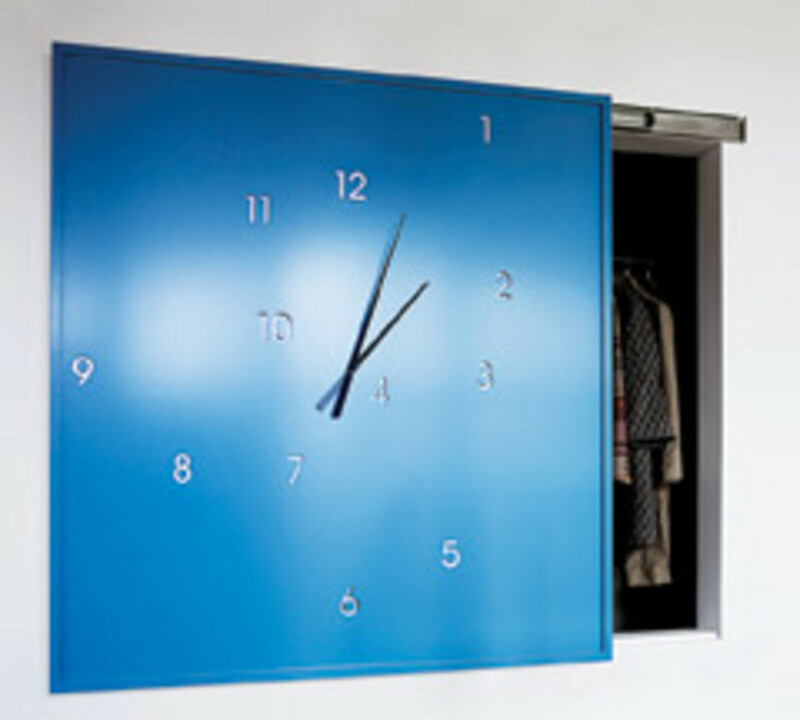 Another unique design is a sliding closet door in which the entire surface is a working clock. Not surprisingly, the company motto will remain “Completely Custom, Uniquely Yours.” Another constant will be Studio L’s extensive use of an Omnitech CNC router that has been in operation at the business since 2008. Lehmann credits various software systems and the CNC for much of the firm’s prosperity so far. Further, Lehmann is determined that his new quarters will be not far from the present shop. This will enable Studio L to continue serving a client base in New Jersey’s affluent Bergen County, with occasional forays into Manhattan and Greenwich, Conn.
As he reshapes Studio L, Lehmann expects his catalog to shrink. 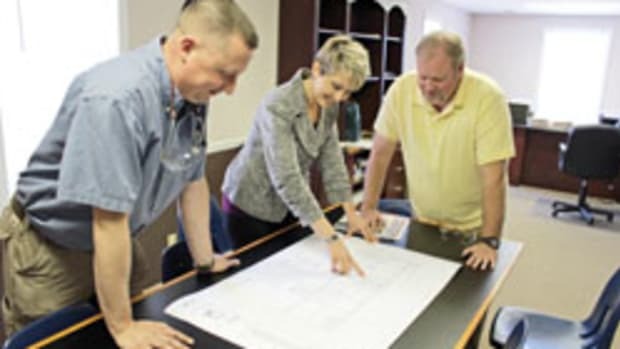 The company currently performs all of the following services: custom fabricating; complete repair services; interior and space design; pre-construction blueprint consulting; on-site design and quality control supervision; product prototyping and development, and such architectural millwork projects as crown moldings, door and window trim, wainscoting and panel molding, historic molding reproduction, coffered ceilings, columns, archways, and doors. Studio L has worked on libraries and offices, churches and synagogues, while also producing kitchens, entertainment centers, store fixtures and residential cabinetry. The firm currently offers finishes in “thousands of color combinations,” including custom colors and finish matching in clear, opaque, Italian poly, glazed, rustic, distressed, pearlescent, metallic, and cerused. Wood types available at the Teaneck shop include 16 standard varieties (poplar, pine, maple, knotty pine, beech, birch, oak, hickory, ash, cherry, teak, sapelle and walnut); 10 premium choices (bamboo, anigre, chestnut, lacewood, mahogany, and cedar), and 9 ultra-premium options (sycamore, bird’s-eye maple, olive burl, zebra, purpleheart, wenge, macasar ebony and rosewood). 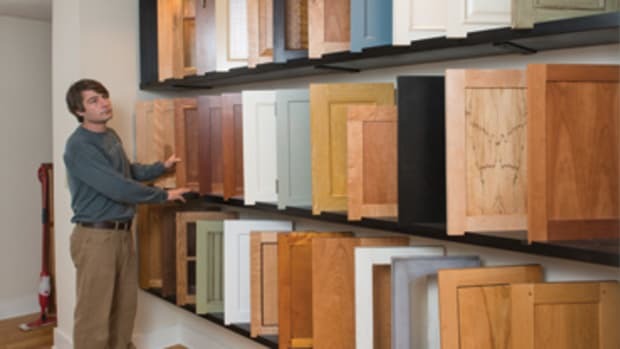 The company also lists hundreds of cabinet door styles, a score of glass components, 21 edge profiles, nearly a dozen moldings, nine crown variations, 10 base options and 18 different types of casings. 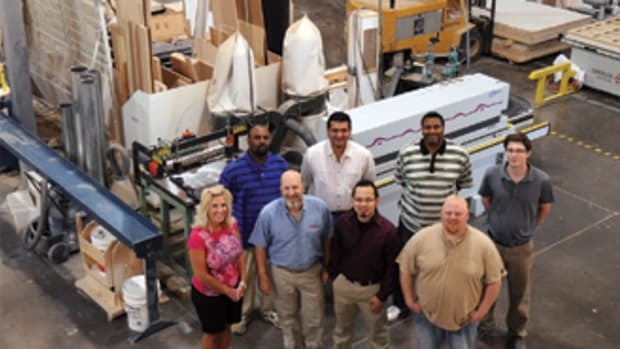 All wainscoting panels are made from premium Ranger board MDF, raw or pre-primed, and customized for the customer’s specific room dimensions, with mitered end caps and interior scribes. 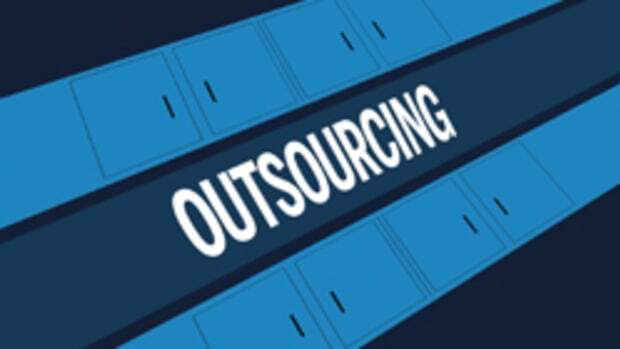 Lehmann says, “We have so much that it sometimes confuses clients and stands in the way of their making a decision.” He adds that working in so many different directions cuts into profits. 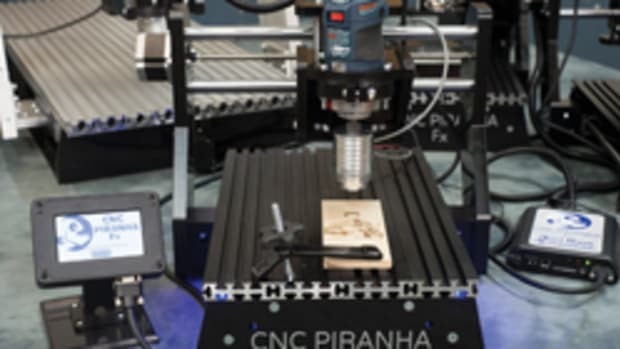 The CNC router — Omnitech’s Pal 5’ x 10’ model, part of the Selexx series — is the key to finding a comfort zone between everything Studio L is now doing and the more limited range Lehmann desires. If the right software is used, anything that can be drawn can be built, he remarks. When he opened Studio L in 2005 — and even before that at a small shop he had owned in Manhattan — Lehmann always designed projects with hand drawings. 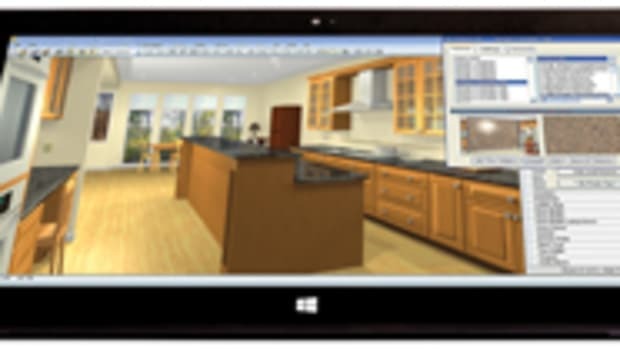 Since early 2008, however, just before he installed the Omnitech, he has been a firm believer in the power of software, relying on such systems as AlphaCam, Aspire, CabinetVision and Solid Works. He likes the way these tools, together with the CNC machine, speed up the work. 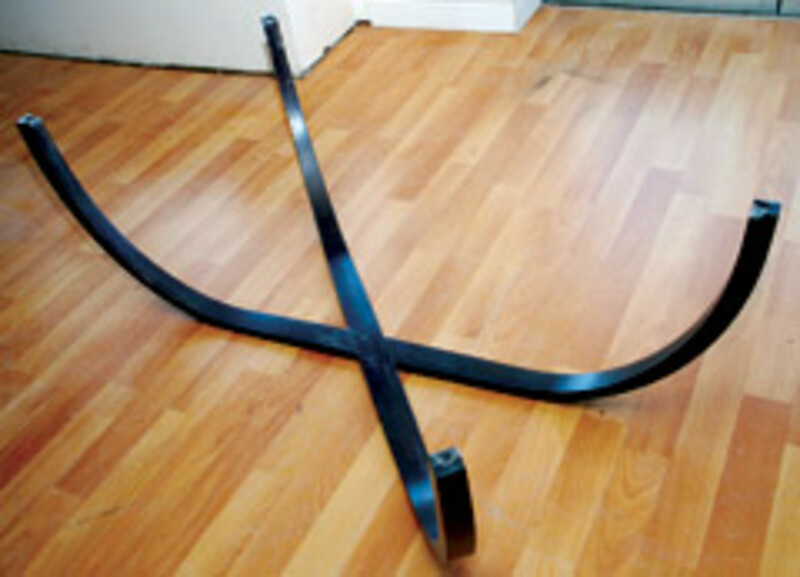 And not just for repeatable tasks like cutting flat cabinet components or even curved moldings that will hold the same shape for the length of the molding, but for producing more complex, one-off parts like jigsaw puzzle-shaped pieces for tabletops, screens and commercial signs. The shop owner insists he isn’t trying to dodge challenges like this one when he refashions his business. Uncommon designs are what have made Studio L successful. But he will try to shorten up on some of the less popular offerings in his catalog in order to free up time for some new ventures. 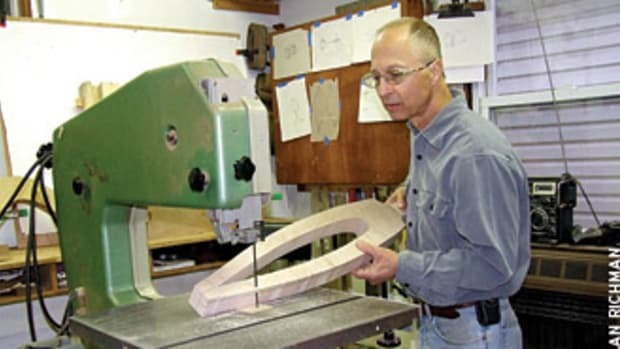 For example, Lehmann says he is considering the introduction of some semicustom work “to maximize the capabilities of the CNC router.” The New Jersey woodworker says he already is cutting curved moldings, pilasters and furniture parts for other area shops. This would be an extension of that part of his business, a relatively easy change in light of everything else he is currently planning. 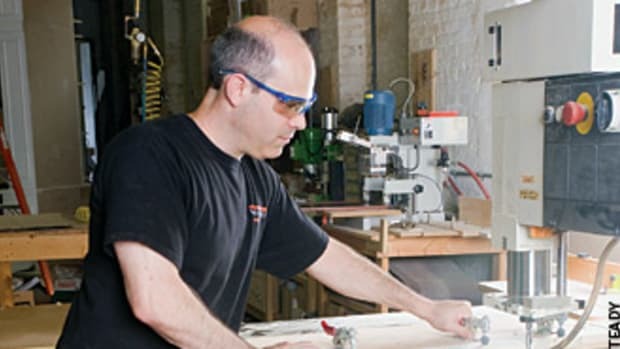 New Jersey-based freelance writer Alan Richman, former editor of Cabinet Manufacturing & Fabricating and Wood Digest, has contributed numerous articles to Woodshop News. He can be reached at arkr@optonline.net.